For years, a secular mindset among educators and school officials has pushed legitimate education about Christianity off to an ever-shrinking portion of a public school student’s life. The bias against appropriately teaching about the contributions of Christianity to society comes largely from educators who either think it is not legally allowed or that, even if allowed, it is not proper or culturally sensitive to do so. Parents, educators, school officials, and students can calm their fears about the presence of Christianity in classrooms just by remembering the acronym C.A.L.M. because it is Culturally accurate, Academically expected, Legally supported, and Morally imperative. It is reasonable to assume that American schools should teach American students about American culture, and that includes teaching them about the significant role of Christianity, both historically and currently. The Colorado Department of Education states that, "Because religion plays a significant role in history and society, study about religion is essential to understanding both the nation and the world. Omission of facts about religion can give students the false impression that the religious life of humankind is insignificant or unimportant." In Massachusetts, junior high school students are encouraged to "Describe the origins of Christianity and its central features; monotheism; the belief in Jesus as the Messiah and God's son who redeemed humans from sin; the concept of salvation; belief in the Old and New Testament; and the lives and teachings of Jesus and Saint Paul." The Court assumed school children were singing religious Christmas carols! In the Federal court case of Florey v. Sioux Falls School District, the ACLU was twice defeated in its attempt to have the school district’s policy on recognizing holidays declared unconstitutional. There are millions of Christians within the public schools. They can confidently exercise their constitutional freedoms to tell people of Christian values and Christianity’s contribution to society, the world, and academic subjects. Adults in a student’s life—parents, teachers, and school officials—are the gateways to better education for that student. 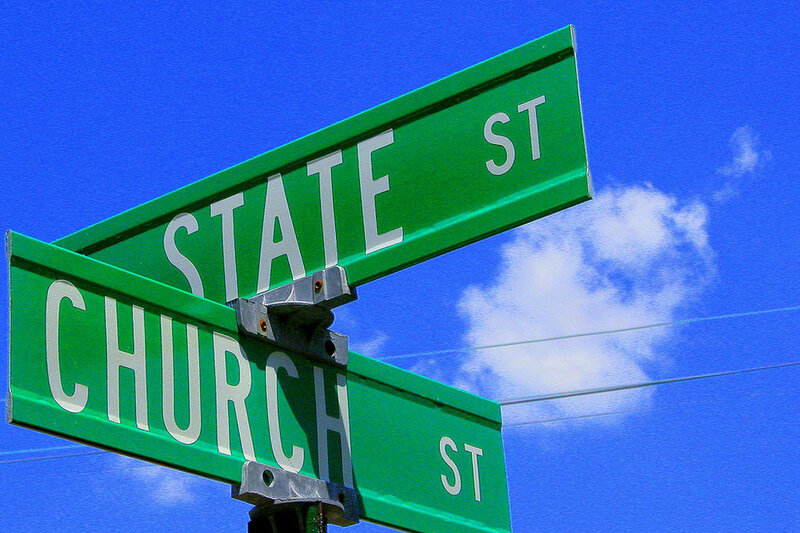 How to Use Your State’s Academic Standards Regarding the Bible and Christianity. If you have not already done so, order a summary of your state’s academic standards indicating where the Bible and Christianity can be taught. To receive your copy, click here. 1. Become thoroughly familiar with the standards for your grade and subject. Don’t assume your textbook incorporates the standards regarding the Bible and Christianity. 2. Personally invest time to study church history that you could include in lessons related to the development of Western civilization and American history. 4. To help students understand that ideas have consequences, objectively teach the biblical principles and thinking behind the actions of historical figures who sought to implement their faith (e.g., Rev. Martin Luther King, Jr., America's Founding Fathers, Dr. Livingston). 5. Develop a discussion group of like-minded colleagues to formulate lesson ideas and exchange research on how to teach various aspects of your state’s standards. If your state's standards are broad and give little guidance on specifics to teach, refer to California's handbook on its Social Studies standards for ideas. You can download a PDF of the handbook by visiting www.cde.ca.gov/ci/hs/cf/index.asp . 1. Distribute copies of the standards and this article to parents, teachers, youth workers, and pastors. It is important to help people understand what is possible (and even expected). 2. In a friendly manner, let your children’s teachers know that you are encouraged by your state’s standards concerning the Bible and Christianity, and ask them how they will be teaching to the standards in their classrooms. 3. Use the standards as a starting point for discussions with your children at home regarding church history and the Bible’s influence on the world. Alvin J. Schmidt; Under the Influence: How Christianity Transformed Civilization; Grand Rapids, MI; Zondervan; 2001. Warren A. Nord; Religion & American Education; Chapel Hill, NC; The University of North Carolina Press; 1995. Samuel Huntington; The Clash of Civilizations and the Remaking of World Order; New York, NY; Touchstone; 1996. Lawrence E. Harrison & Samuel P. Huntington, Culture Matters: How Values Shape Human Progress, New York, NY; Basic Books; 2000. George Barna, “Beliefs: General Religious,” Barna Research Online, www.barna.org, (9-5-01). The Barna Research Group puts the figure at 40% while a 1997 study from the University of Michigan places the figure at 44%. George Barna and Mark Hatch, Boiling Point (Ventura , CA : Regal Books, 2001), p. 213-14; and “Study of Worldwide Rates of Religiosity, Church Attendance,” News Release (12/10/1997). The 1997 University of Michigan study (see above) puts the figure at 27% while Peter Brierley, a British pollster, puts the figure at 8%. Peter Goodenough, “British Churches Face Worst Attendance Decline Ever,” CNSNews.com (December 7, 1999). See also www.christian-research.org.uk. Radio station figures are from the 2002 National Religious Broadcasting Directory of Religious Media (Manassas , VA : National Religious Broadcastors, 2002). Abington School District v. Schempp , 374 U.S. at 225 (1963). Lynch v. Donnelly , 465 U.S. 686 (1984). Samuel Huntington; The Clash of Civilizations and the Remaking of World Order ; New York , NY ; Touchstone; 1996., p. 321. Morris Berman, The Twilight of American Culture , (New York , NY : W.W. Norton & Co., 2000) p. 52. Handbook on the Rights and Responsibilities of School Personnel and Students in the Areas of Providing Moral, Civic, and Ethical Education, Teaching About Religion, Promoting Responsible Attitudes and Behaviors, and Preventing and Responding to Hate Violence (Sacramento, CA: California Department of Education, 1995) p.19.